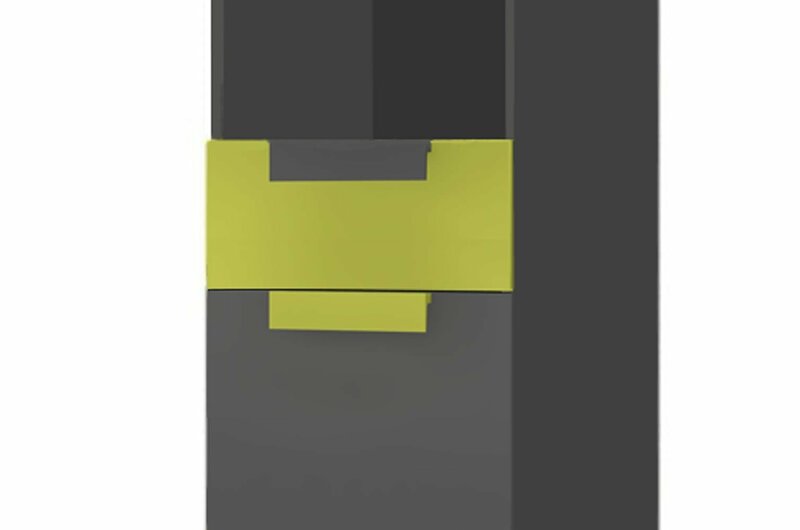 You save 24% that's £60.00! 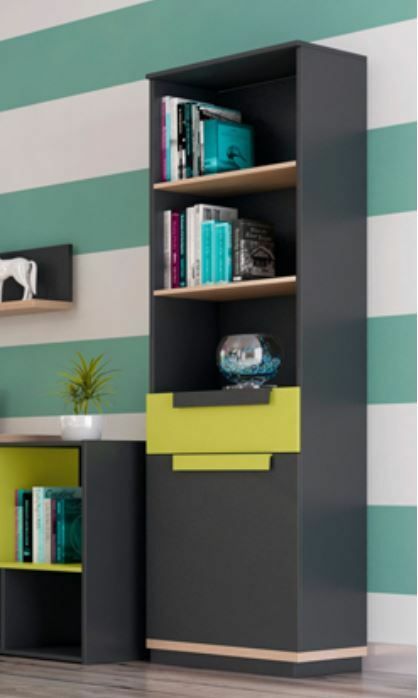 The ultra modern Fenwik tall bookcase in graphite grey with lime green and oak effect. This narrow bookcase features 1 door with 1 shelf,1 drawer and 2 oak shelves perfect to store books,binders and decorative items. 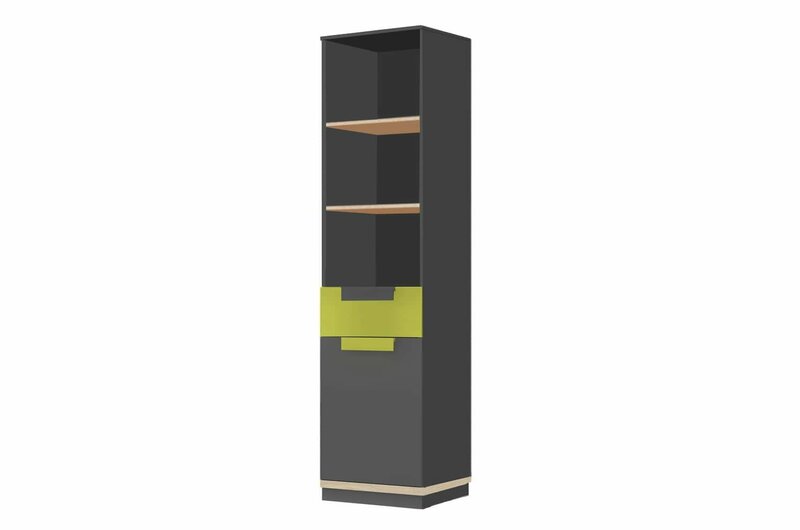 This bookcase will deliver functionality and versatility to your living space.